Sen. Claire McCaskill (D-Mo.) trails all three of her potential Republican rivals, according to a new survey conducted for two Missouri news outlets, cementing her status as this cycle's most vulnerable incumbent. The only candidate outside the margin of error (+/- 4%) is Brunner. McCaskill could be a statistical TIE with Steelman and actually AHEAD of Akin. Is it any wonder Claire is running ads favorable to Akin across the state? This should tell us who Claire wants to face in November. But that's WAY too early. What is significant is that Missourians seem to either be breaking for Brunner or Steelman. 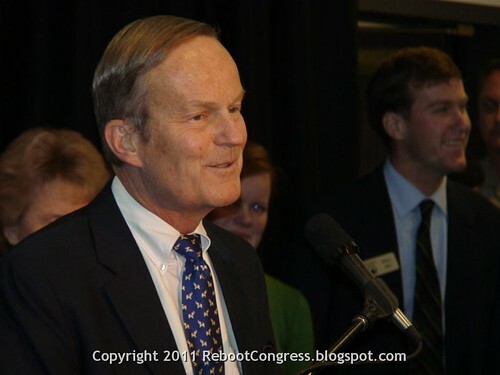 Apparently Akin's earmarks and votes in 2011 to expand and fund Obama Care as well as fund Planned Parenthood have shown the folks from "The Show-Me State" enough. Hope these leads hold through next Tuesday. If we are going to change the way our government behaves, we need to change the people who are running our government. I'm not one for throwing the baby out with the bathwater, but Akin's belly is FULL of bathwater (and D.C. pork).